"It was an unforgettable sight. In the full glare of the sunlight the rocket rose higher and higher. The flame from the stern was almost as long as the rocket itself." "We have invaded space with our rocket and for the first time. We have used space as a bridge between two points on the earth; we have proved rocket propulsion practicable for space travel. This third day of October, 1942, is the first of a new era, one of new transportation—that of space travel." German General Walter Dornberger and German rocket scientist Wernher von Braun were two men with a vision. The drive, energy and resourcefulness of Dornberger, mated with the ingenuity and passion of von Braun, created one of the greatest technological achievements of the last 100 years. The fact that this achievement was the product of the ruthless regime of Nazi Germany—and the fact that many thousands of people died as a result of its production and deployment—skews the image of what otherwise would be considered a monumental technological triumph. This is the A-4/V-2 Resource Site. It is devoted to one of the most awesome weapons of WWII, the V-2 rocket. 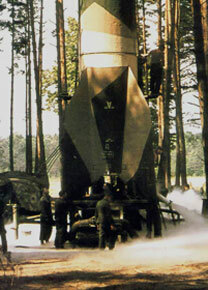 The V-2 or "Aggregat 4" was the first long-range ballistic missile to actively be used in combat. This huge German missile hurtled a one-ton warhead 50 miles high and hundreds of miles down range to its target. This site will try to give you an accurate account of the design, production and combat deployment of this weapon during World War 2. The legacy of the German V-2 ballistic missile represents the best and worst of humankind’s endeavors in the twentieth century. As fascinating as it was horrific, historians and scholars have been debating the real consequences of Germany’s rocket weapon development program for the better part of 70 years. Even today we are living in the V-2 era. In an attempt to build a historical record, this website will exclude any political agendas. This website does not support ideology of National Socialism. This website does promote the education of many to the events of the past and strives to balance the rhetoric of the far right and far left on this particular subject. "Throughout 1940 and 1941 the components of the V-2 were developed and captive tests were carried out, with and without controls. In fact, we had the whole V-2 mounted in gimbal rings on the test stand and tested the controls with jet vanes." "In June 1942 we made the first free-flight test, which was a failure. The second was also a failure in part—it reached supersonic speed and then broke up. The third one on October 3, 1942, finally was a full success and traveled over 120 miles." 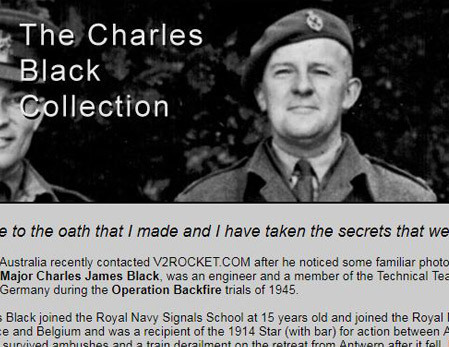 As leader of “rocket team,” advocate for space exploration, he developed the V-2 ballistic missile for the Nazis. Today, he is controversial for ties to German war-time industry and its use of forced labor during WWII. Black project, Heeresversuchsanstalt Peenemünde (Army Research Center Peenemünde). 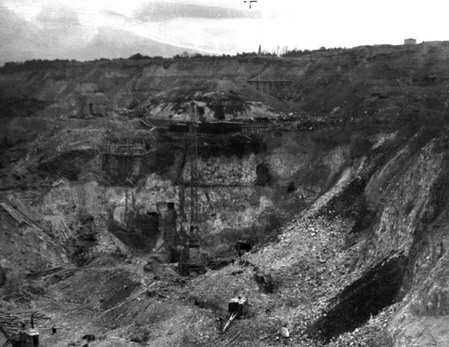 SS-Truppenübungsplatz Heidelager and missile testing ground near Blizna in Poland, where V-2 field tests were conducted following the bombing of Peenemünde. 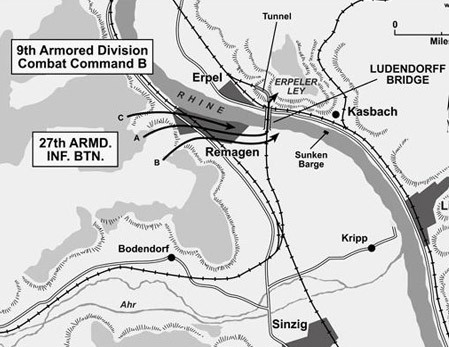 Capture of the Ludendorff Bridge and the unconventional German counterattacks that followed; which included the tactical use of the V-2 rocket. Also the story of the 284th Engineer Combat Battalion. Massive structures in France, that were targeted heavily by the Allies, remain even today. 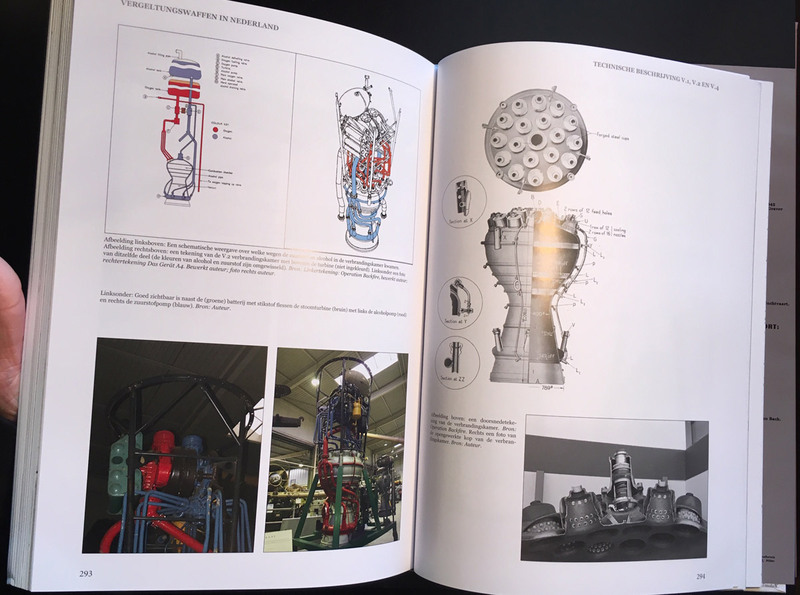 Comprehensive list of the best available resources related the the history of the V-2 rocket. Some out of print, most are still available through used book sellers. Collected links over the years. If you know of new related links that are not listed here, let us know about them. Also, report any dead links. 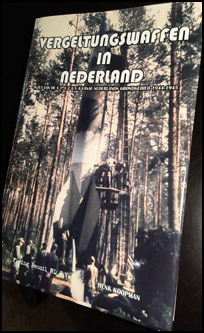 New book Vergeltungswaffen in the Nederland (V-Weapons in the Netherlands). 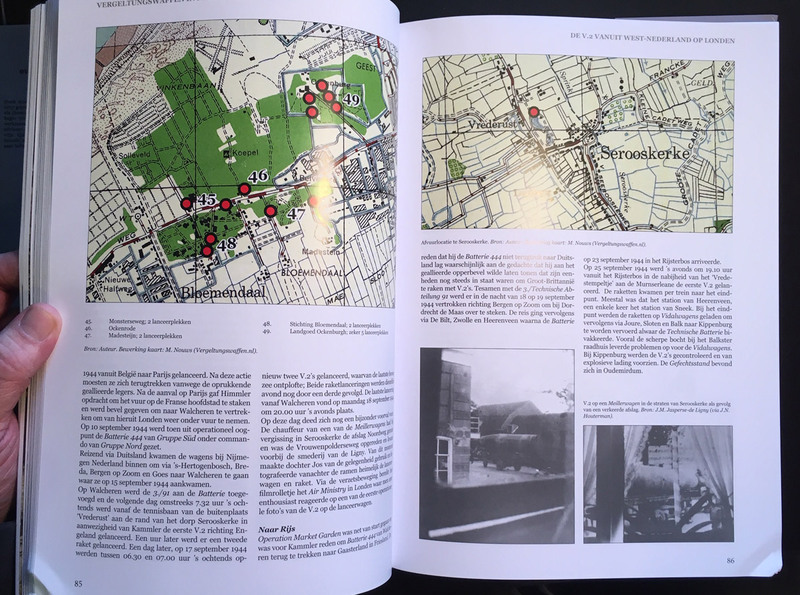 The deployment of V.1, V.2 and V.4 from Dutch territory 1944-1945 by Henk Koopman. Flying Pencil NL B.V. In the last year of the war, thousands of V.1s, V.2s and V.4s have been launched from occupied Holland to targets in Belgium and England. Many attacks were launched from Dutch territory. 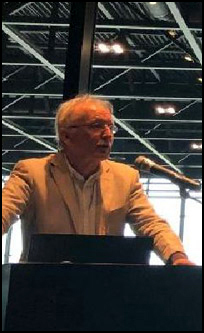 Author and authority in the field of Vergeltungswaffen in the Netherlands, Henk Koopman, has done research in Dutch and foreign archives for decades. 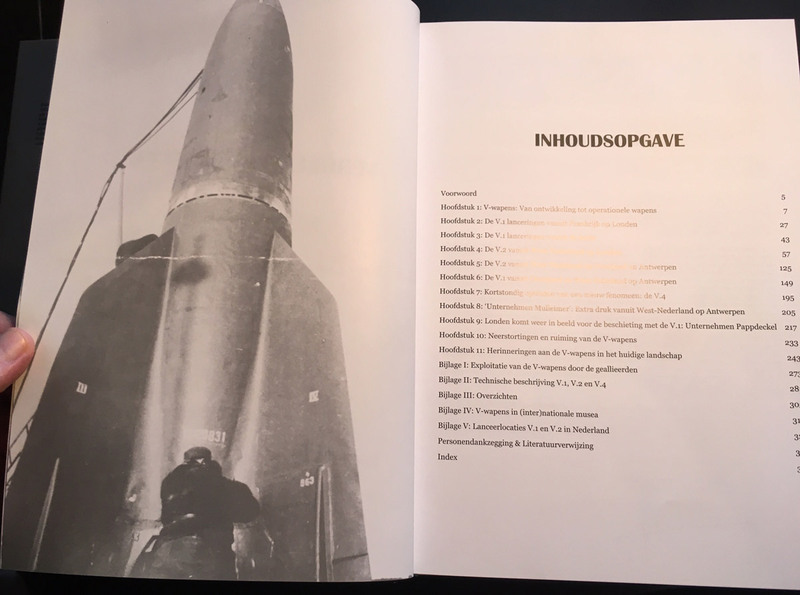 He also visited the launch sites many times where detailed investigations were required to determine the exact location of these positions. 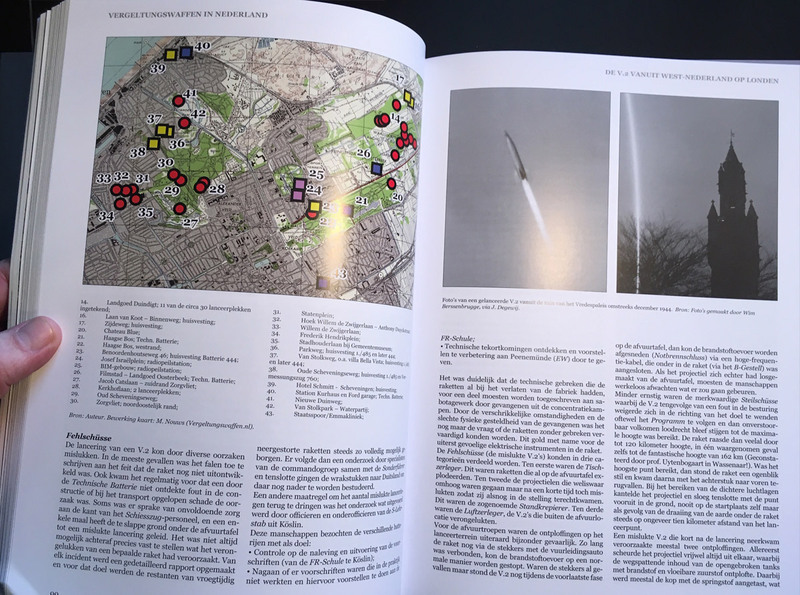 All information the author has gathered over the many years about the use of the V-weapons in the Netherlands is finally bundled into a complete overview work. 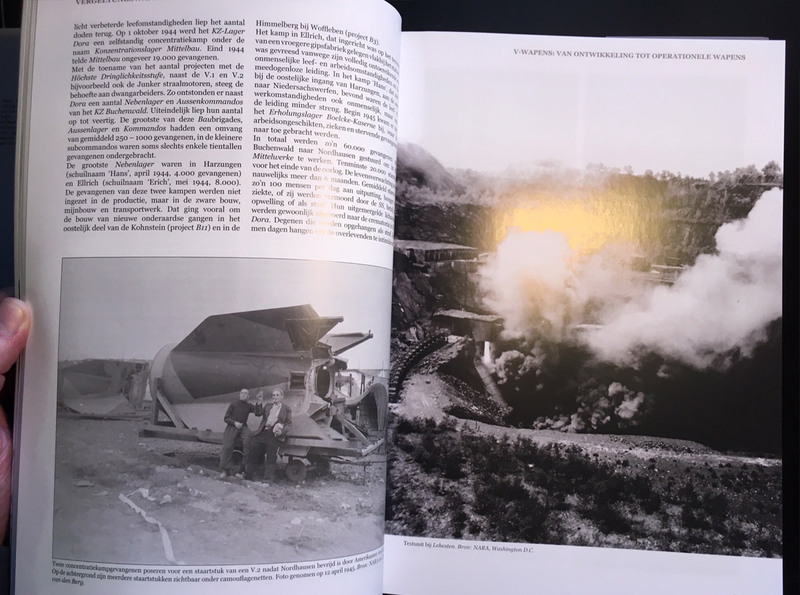 The publication is richly adorned with photographs and map material—including previously unpublished material—and with an extensive index it is a reference work that should not be missing in the collection of every WWII researcher and rocket enthusiast. 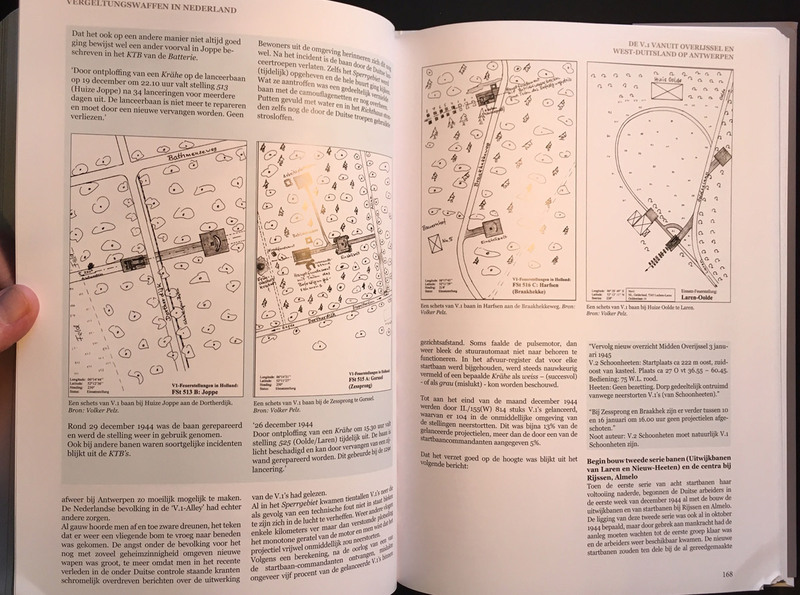 Although written in Dutch this book is easily understood by English-speaking readers as it is heavily illustrated with photos, maps, graphs and tables. 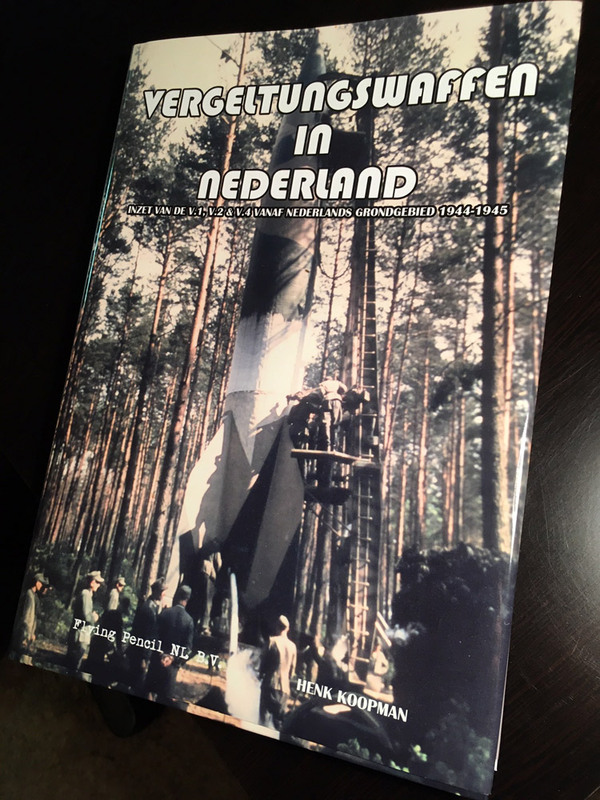 With more than forty years of archival work, the author has succeeded in shedding more light on the known and unknown aspects of the deployment of V-weapons in the Netherlands. I have known the author for twenty years and gained much from his extensive knowledge about the V-sites. We have walked the rocket sites in the Netherlands and I always look forward to our next visit. 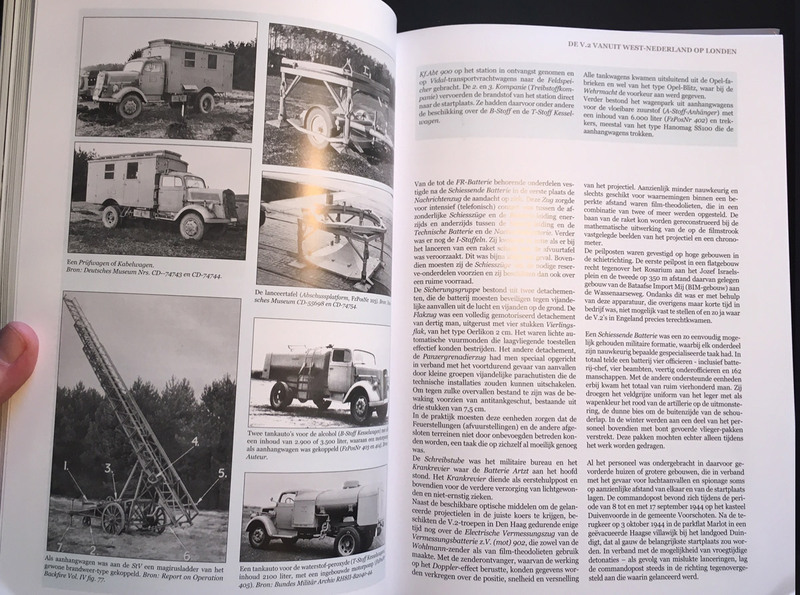 For many years enthusiasts have anticipated this book and now it is finally available! Raymond Delcommune, Andy Micklethwaite, Jan Harm ter Brugge, Reiner Sigmund, Laurent Bailleul and John Pridige.